Our 9 day Kidepo valley and bwindi gorilla fly in safari is meant for those people that prefer flying than driving. Bwindi Impenetrable National Park is located in the south western part of Uganda while Kidepo Valley National Park is located in the far north eastern part of the country. Our 9 Day Kidepo Valley and Bwindi Gorilla fly in safari makes it possible to combine these two great National Park by frying from one place to another. In Kidepo Valley National Park, you have one of the best park when it comes to wildlife, birds and scenery and when combined with the mountain gorillas of Bwindi Impenetrable National Park, our 9 day Kidepo Valley and Bwindi gorilla fly in safari will surely give you an experience of a life time. Arrive for your 9 day kidepo Valley and Bwindi gorilla fly in safari. At Entebbe Airport, you will be met by our driver/Guide who will transfer you to a Guest House for overnight. The guide will later meet you for briefing about your 9 day Kidepo Valley and Bwindi gorilla fly in safari so that you confirm that what was booked is what you will get. Depending on the flight schedule, you will be transferred to Entebbe Airport for your internal scheduled/charter flight to Kihihi Airstrip from where our Local guide will pick and transfer you to Bwindi Impenetrable National Park. Enjoy your lunch if booked on the morning flight and go for an optional forest or village walk to learn more about the forest or the local community. Retire to your Lodge for dinner and overnight. After breakfast and with your packed lunch, you will walk to the park headquarters for briefing about gorilla trekking. Your guide will take you through all the dos and don’ts while with mountain gorillas and after that, you will be transferred to the starting point of your gorilla family. Please note that gorilla family allocation depends on your fitness and age. Please inform your guide of your health concerns and he will try to request for the gorilla family of that fits your concerns before you start the trek into the forest. Gorilla trekking can be strenuous and a certain level of fitness is required. Gorilla trekking can take from 30 minutes to three quarters of the day so one needs to prepare for both. You guide will try to provide information about trees, birds and other wildlife in the forest until you reach a given gorilla family of gorillas. You will be allowed only one hour of photography and observing mountain gorillas as they go about with their daily day activities and then trek back to the park headquarters to pick your souvenir certificates and then dinner and overnight at your Lodge. After breakfast, you will transfer to Kihihi Airstrip for your internal flight back to Entebbe International Airport from where our representative will pick and transfer you to a Guest House in Entebbe. There optional optional activities to occupy your evening while in Entebbe Town. You may choose to visit Botanical gardens for birding and nature walk, visit the Uganda Wildlife Education Center, Entebbe botanical gardens or explore Entebbe on foot. Safari will begin by picking you from your Guest house/hotel in Entebbe or kampala to Entebbe international Airport where you will charter or use scheduled flights to Kidepo valley National Park. The flight from Entebbe Airport to kidepo Valley National park exposes you to some of the best sceneries Uganda has to offer. It is an opportunity to take aerial photos during your safari. Our Kidepo flying safaris take approximately 2 hours landing at Kidepo Valley Airstrip where our representative will pick and transfer you to Apoka Safari Lodge the best lodge in Kidepo National Park. 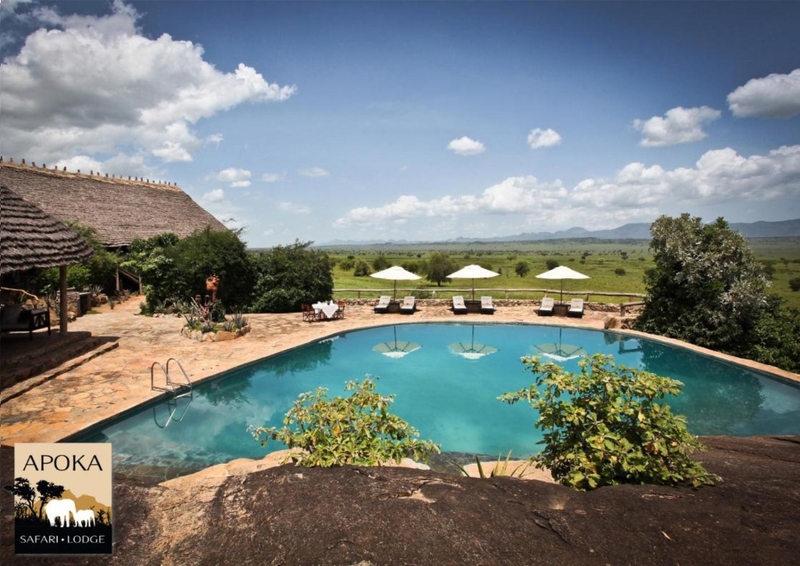 You will be served Lunch, relax in your room and or swim in the wide swimming pool as you wait for your late afternoon game drive in kidepo valley. Transfer from the lodge to Kidepo Valley for a game drive that will expose you to wild animals such as buffaloes, elephants, hippos, several antelopes, if lucky lions and leopards. Return to the lodge for dinner and overnight ending the first day of your 4 day kidepo valley fly in safari. After an early morning cup of tea, you will drive back to Narus valley to enjoy a morning game drive. Try to look out for the same animals and may be others like cheaters if luck strikes. Kidepo game drives are so unique that you find yourself in a vast and undiscovered and yet very rewarding national park. The valley is surrounded by hills which makes the scenery very stunning. Return to Apoka Safari Lodge for lunch, relaxation as you prepare to visit the Karamajogo people. The Karamajongo are very famous as cattle keepers who love their cattle. Visit their home steads known as the Manyatas, they will dance for you and explain their culture to you before retiring to Apoka Safari Lodge for dinner and overnight. After breakfast you will enjoy an en route game drive through Narus Valley as you drive to Kidepo Valley. This drive will take you to the area where you are likely to sport many birds included the endangered ostriches. You will also visit the hot springs and the guide will be delighted to explain to you the cultural attachments to these hot springs and the indigenous people. You may also view or visit the Uganda South Sudan boarder before returning to the Lodge for Lunch, Dinner and overnight. You may choose to do a morning and afternoon game drive or visit the Ik people of the mountains. Kidepo Valley National Park has a lot to offer in terms of wildlife and each day comes with its surprises. It is worthwhile spending more days for un forgettable safari experience. After breakfast, you will be transferred to Kidepo valley Airstrip for your flight back to Entebbe. Those having connecting flight back home should book flights that depart at least by 20:00.